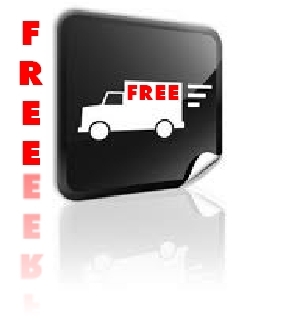 Orders over £50.00 to UK mainland addresses will be carriage FREE. Orders to The Channel Islands, Isle of Man and Ireland have different carriage charges, as shown during check-out. We offer a UK Mainland Next WORKING DAY Delivery Service, starting at £7.50 per order. You may return faulty or goods sent in error, but please do not return goods otherwise. We do not operate an “on approval” system therefore if you return goods that are neither faulty or sent in error, we may make a charge of 20% to cover our restocking and inspection costs. Software may not be returned under any circumstances. Under no circumstances can returns be accepted for items ordered specially on a customers behalf. No claims will entertained unless made in writing within seven days of delivery. Please telephone our sales dept for authorisation before returning any item. Items on this website may be subject to patents or other forms of legal protection. No liability is accepted for infringement of any such rights. All trade marks & trade names are the property of their respective companies / owners. Reproduction of any part or whole of this web site without prior consent is strictly prohibited. Any illustrations or descriptions on this web site are intended as a guide only to help in the easy identification of products. Illustrations in particular should not be taken as an accurate representation of any product or part thereof. All sizes are metric (mm) and are nominal unless otherwise stated. Imperial sizes (inches) are occasionally shown. Any packs sold by weight or volume are sold by metric measure in accordance with current EC regulations.